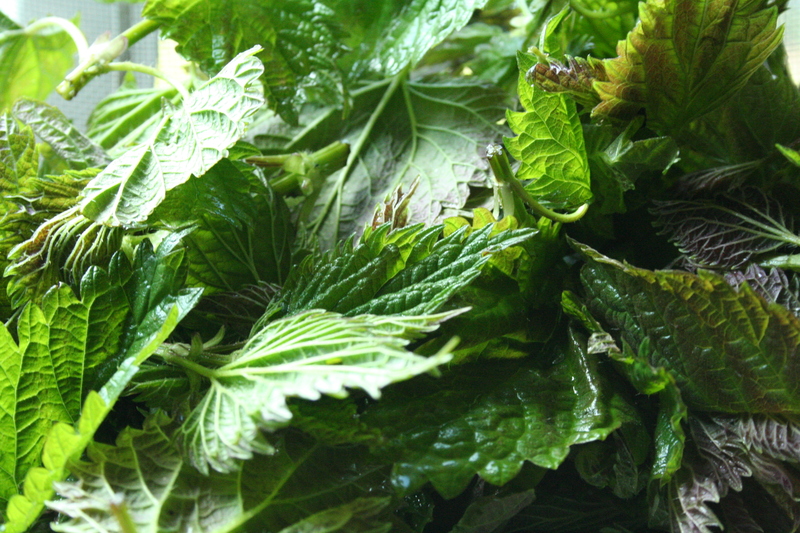 At Market this Week: Nettles! There are a few items we choose to bring to market that we wild harvest from our property because they are delicious(most importantly) , super nutritious (like out of this world nutritious), and also (very kindly) fill seasonal growing gaps for us. We do “cultivate” these wildings, clearing the areas where they grow or maintaining stands of them specifically for harvest, and we are always thankful to have such an abundance of them when we do. In the early spring, when our over wintered vegetables are well harvested and new plantings are young, we are blessed with fresh growing nettles, perfect for nettle pesto and just in time to start getting the farmer’s body ready to battle pollen season. In the summer, we harvest lamb’s quarters, a non-bitter tasting green that thrives in warm weather when our spinach has called it quits until fall and the kale has reached its height of “summer” flavor (not at all as sweet as in the colder months). We never harvest a ton of these, but they are always a hit. Some people already know how good they are for you and appreciate the chance to eat these nutritional powerhouses. Other customers love their taste and will request them again and again. We enjoy them in their season, and making nettle pesto is something we do every year. It was the first recipe we tried the first time we ate nettles, back in the wilds of Colorado, with the encouragement of an old friend who not only gave us a taste for wild harvested weeds and king boletes, but also inadvertantly planted the seeds of our future–he had just returned to Colorado from the Pacific Northwest where he was working on a farm and we had many lively conversations with him about farming and this neck of the woods. I was hesitant then, but the pesto was delicious and didn’t sting a bit. We love it so much that we rarely make anything else with our nettles, aside from drying them for tea. But they really can be used like any other cooking green, braised and finished with a bit of lemon juice or rice wine vinegar, or added to soups or sauteed and tossed with pasta. But this is important–they must be cooked! Between the soaking and washing we give them, and some cooking, even a light steaming, they will be sting free; but handling them out of the bag from our market stand with your hands will give you small stings. We just dump them from the bag into the pan and steam them until they wilt, then cool them and proceed to make our pesto. This blanching preserves their nice bright green color too. We have always been fascinated by the high levels of nutrients in wild plants, so much higher than those cultivated by humans, even plants cultivated with as much love and care and attention to soil health as we give our plants. This is one of the reasons we really attempt to mimic nature as much as is possible, keeping it as our growing model in as is applicable to our very human endeavor. Nettles are really high in many minerals, including iron, potassium, magnesium, and calcium, and nettles are often used to help with anemia. I personally use them as a general blood builder and as a concentrated source of minerals during pregnancy and while nursing (though please speak with your health care provider before using if you are pregnant or nursing!) and for the kids. They help lesson your bodies immune response to allergens, and the farmer uses them in the early spring to help prevent or lessen his immune response to pollens later in the season. This nettle season, encouraged by a friend and our own gut feeling, we are going to try to eat nettles even more than we normally do. They are recommended to help protect the body from radiation, and just in case we are coming into contact with more unfriendly radiation than we want, we will be trying out some different ways to cook nettles this year. Either way, we feel extra thankful to have such an abundance of this healthful and tasty green this spring. Head out to the woods and wild forage some for yourself if you are feeling adventurous, or if you want to keep it simple, stop by our market booth at The Market this month and grab a bag. Either way, enjoy the tastes of spring both wild and tame! Wow! How amazing! 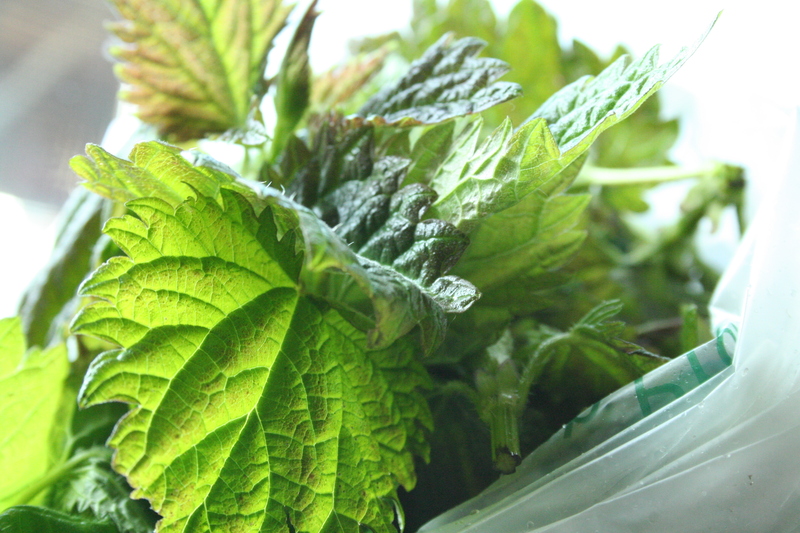 I knew you could use nettles as a healing herb but had no idea you could eat them! Down here (in the moister parts of) San Diego, there are huge fields of them, untouched and avoided by humanoids. I just love the idea of wild harvesting. It just feels so right! Now I know what I’m doing tomorrow. Thanks for the wonderful and informative blog post. Blessings to you and your FARMily! Oh! It sounds like you have a good access to them. I love wild harvesting too, it is deeply satisfying. A few things about harvesting I didn’t mention..the tender tops are the best for fresh eating. The larger the get, the less desirable they are, but are still good to dry for tea.